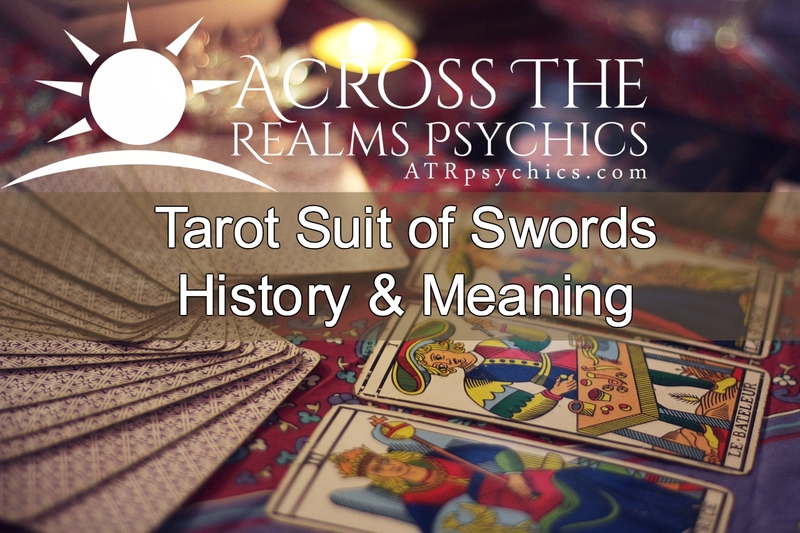 The suit of Swords in a tarot deck is equivalent to Spades in a regular deck of playing cards. Swords are also known as blades, daggers or knives depending on the Tarot Deck they are associated with. The direction corresponding to the Swords is East and its element is Air. The Zodiac signs that are related to the swords are the airs signs; Gemini, Libra and Aquarius. Swords are considered Yang energy which is male. It is the suit that represents our intellectual and rational faculties. This suit deals with our mental aspects as well as communicative in our lives. The symbols it deals with are Eagles and Sylphs. Swords deal with action, physical, working stages, change, force, movement, oppression, ambition, courage, trouble, and strife. 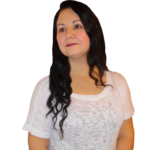 Their main focus is on our mental level of consciousness both thinking and intellectually. They represent the intangible elements of the mind. The Suit of Swords represent the mind and truth. Truth can be sharp and penetrating like a double edged sword. When we learn the truth sometimes it cuts us like a deep penetrating wound of a knife. Positive characteristics associated with the swords are strength, authority, courage, and ambition and a desire and opportunity to travel. Negative attributes include conflict, animosity, pain, anger and aggression. Classic interpretations of Swords can signal arguments, illness, and even death, especially if they dominate a spread. Swords mirror what going on with a person’s state of mind in the present. That includes present thoughts, attitudes and beliefs. A Sword is a symbol of power; so in this case, based on a spread one can use one’s intellect and power for good or for bad. Swords also show us if our spirit and feelings are in balance with our mind set. In keeping with the duality of a double edged blade, swords also represent action whether constructive or destructive. If we look at the art on the Sword cards we see that the Suit of Swords is steeped with imagery of states of misfortune, pain and fighting. They also represent hatred, battle and enemies. So with that in mind the Suit of Swords is also considered a Warrior suit. 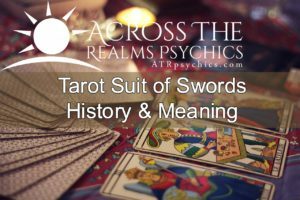 Of all the suits in the tarot deck Swords are considered the most powerful and dangerous. This is verified when you read the meanings of each card and its attributes. Swords are equated many times with worldly power and even violence. If one sees a lot of Swords in a spread it can indicate several things. It is a card of “thought” so it is safe to assume that the querent has a decision to make. Many times the Suit of Swords is shown the decision means a painful one. It can also signal discord in a person’s life. However do not fear if you get a reading with many Swords. Its telling you to open your eyes and mind to a situation so you can deal with it. It warns where to be careful and where to strike if need be. It give us the ammunition to defend ourselves with.